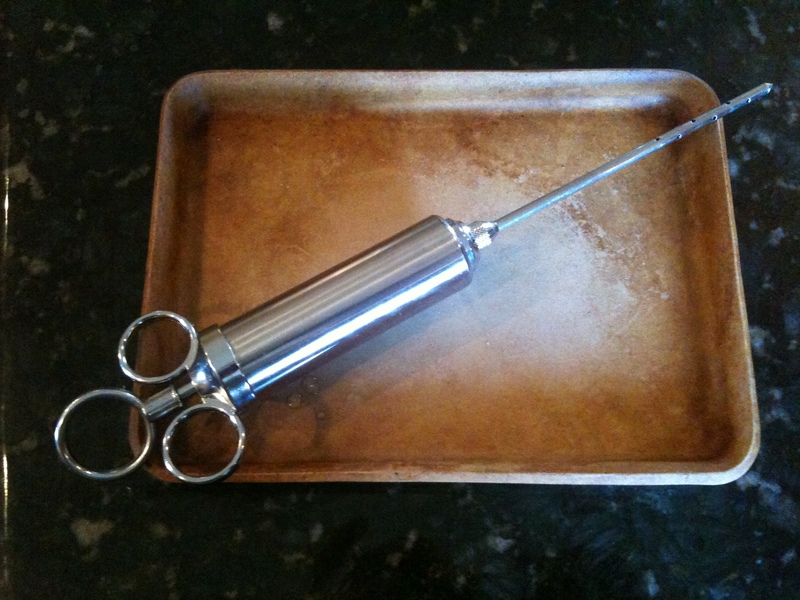 And My New Christmas Toy–Flavor Injector. My toy looks like a syringe from hell, and it works as such. I was able to inject the marinade directly into the meat. It bubbled up and oozed out. I can not wait to taste. Well it is 12:13am and I can not sleep. I don’t know if it is just that I’m excited about Santa or the fact that I have over 4 pounds of pork loin covered in salt just waiting for me to put it into my smoker in the morning. Since this is my forum about cooking meat I can only assume it is the latter. I would like to use this blog to document my ventures into the world of smoke, grilling, and BBQ! I would like to document my successes and my failures. 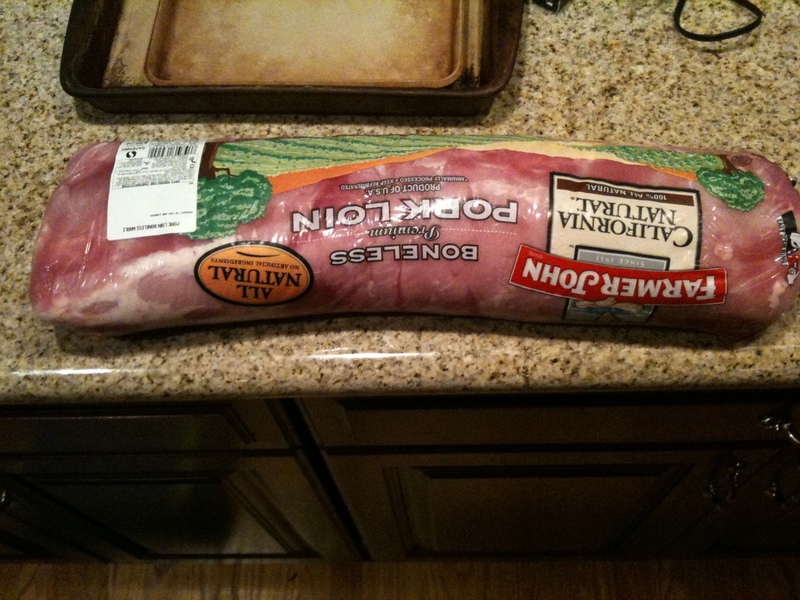 Starting tomorrow with the loin. I need to go, I hear reindeer up on my roof.